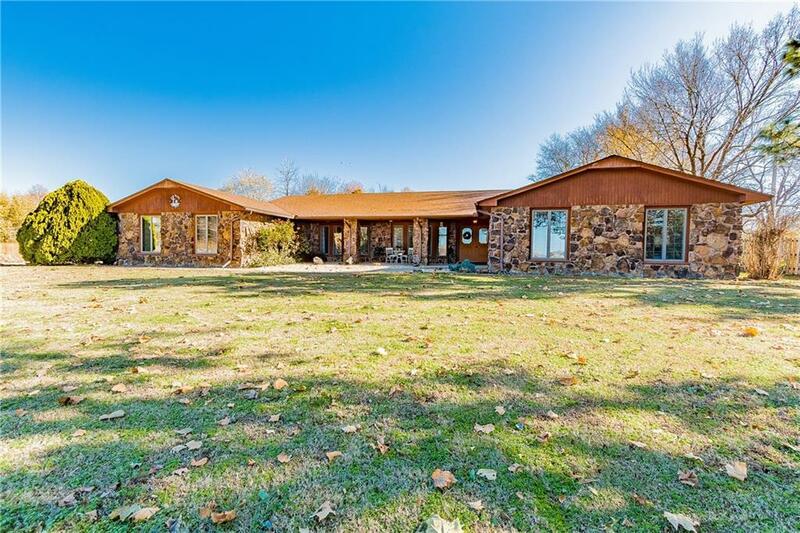 Unique ranch house on 8+ acres with pond ,outside city limits, few mins drive to JBU, schools and Downtown Siloam. Enjoy watching deer, bald/golden eagles, ducks in pond. Walnut trees add beauty. Its built from Arkansas Native stone and has tons of storage. Outbuilding conversion to guest house is easy, office can be 5th bed. The outside fountain adds ambiance of its tinkling water. Must see property!